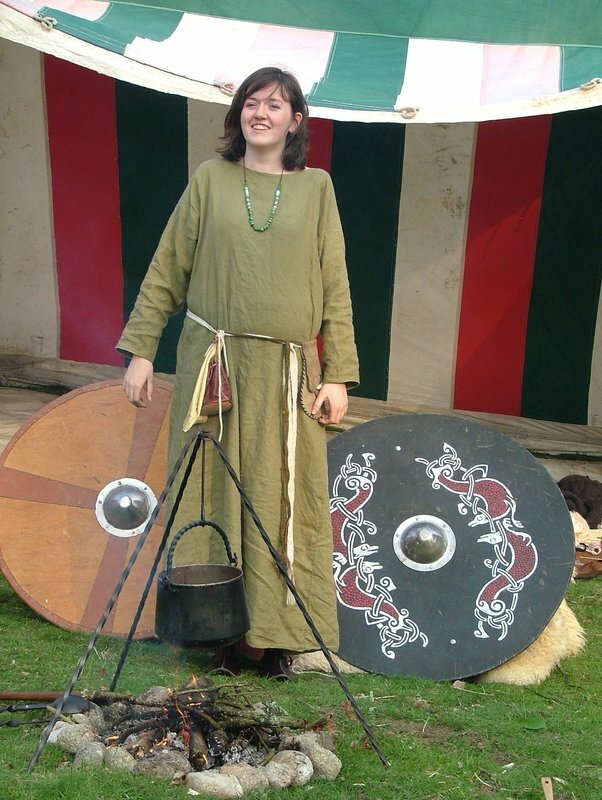 During my time as a heritage in schools specialist I would visit schools dressed as an Irish person from Viking age Ireland. This confused people not to mention the children. It wasn't my doing but rather the convention of phasing Irish history along a time-line defined by invasions. 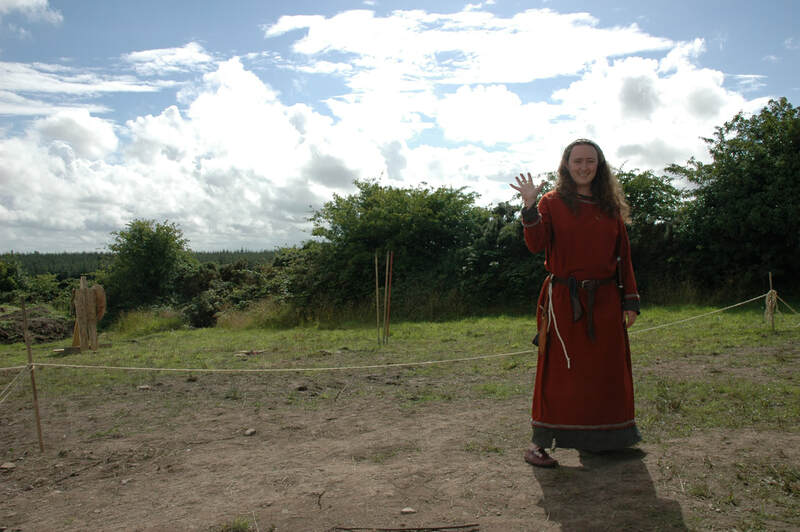 I solved the confusion quick enough, when I walked into the class room and the children shouted 'look look the viking lady is here' drawing my sword, I'd look behind me asking 'where?' and then shout 'let me at him I'll kill him'! This quickly got everyone understanding that I was not viking but then who was I? Ireland has a strange way of looking at it's history it's almost as if we are still telling it from the invaders perspective.....'the Irish were bare foot illiterate savages who drank muddy water' – that's the answer I got from one primary school class. 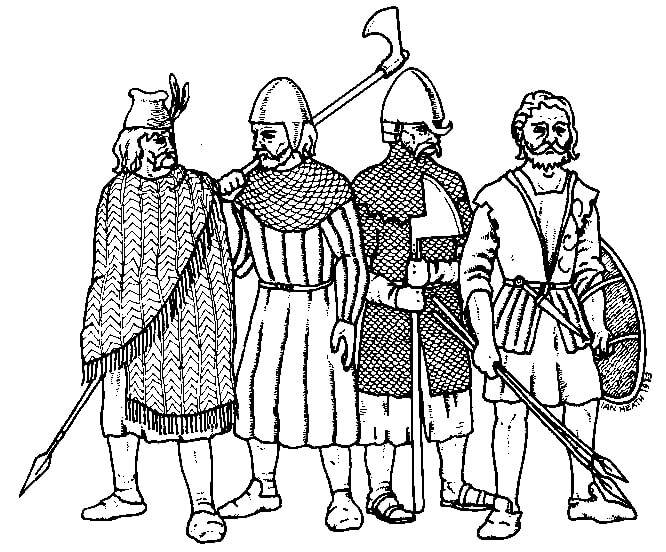 Well, without giving you a full history lesson let me tell you the brilliant news that the Irish were known worldwide for their bright coloured cloth, excellent animal skins, sheep's wool cloaks and one piece leather shoes and boots not to mention gold jewelry. Basic leine on a lady. 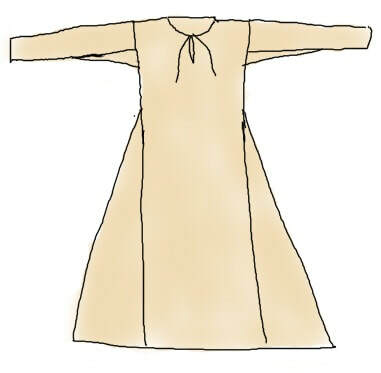 I've made a dress from wool in the same basic pattern of a leine and worn it over a light linen leine. 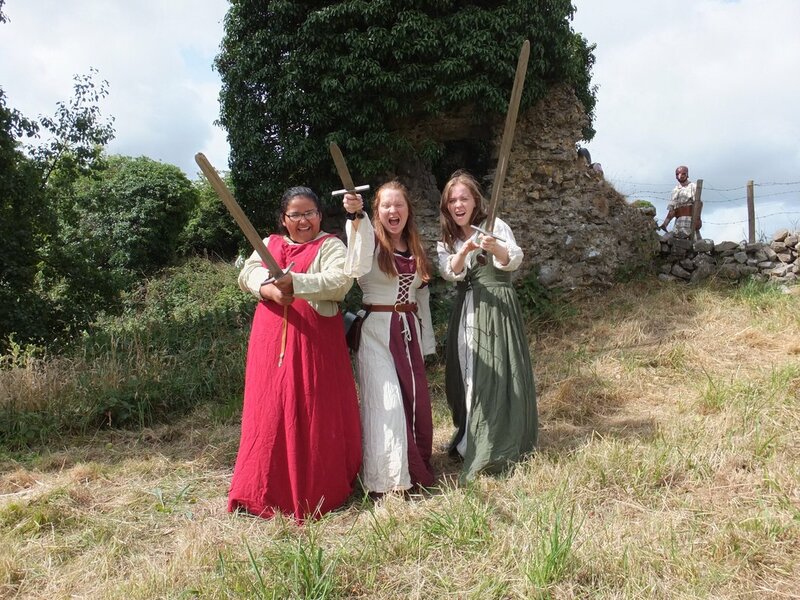 So for Celtic Camp you have lots of choice of what to wear, wear modern clothes with a celtic theme, redesign an existing outfit or create a costume from scratch! 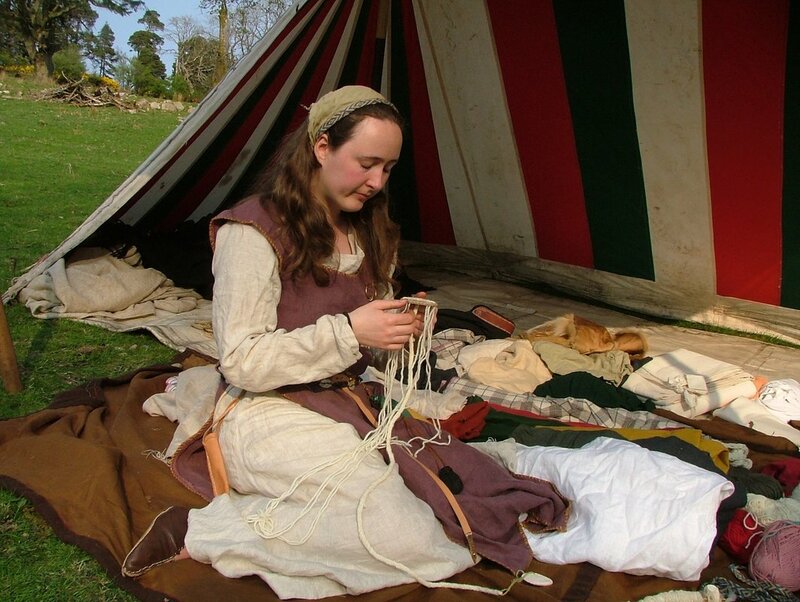 The Irish throughout the ages favoured the layered look, bright colours and natural materials, the leine or long shirt was the most basic layer made from linen, silk or wool. The leine was worn by both men and women and children. It can be easily made. Then if it's not too hot outside you can layer over this leine. 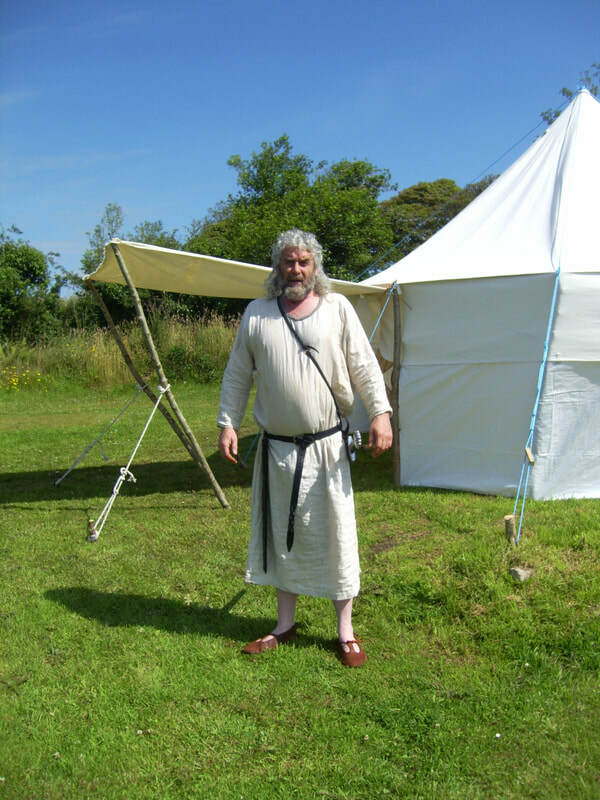 There is also the option of a tunic and trousers. 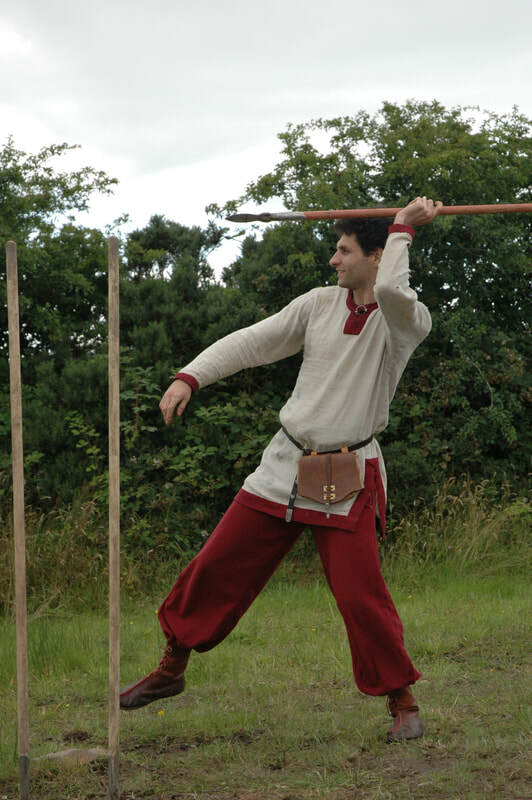 This is an example of a simple tabard worn over a leine. 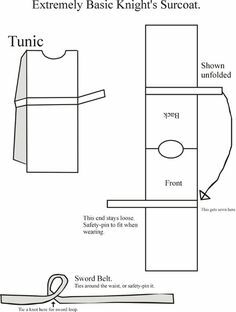 A tabard is a rectangular piece of cloth with a neck opening in the middle. Moving up the posh scales now- all still have a basic leine underneath the pretty dress. 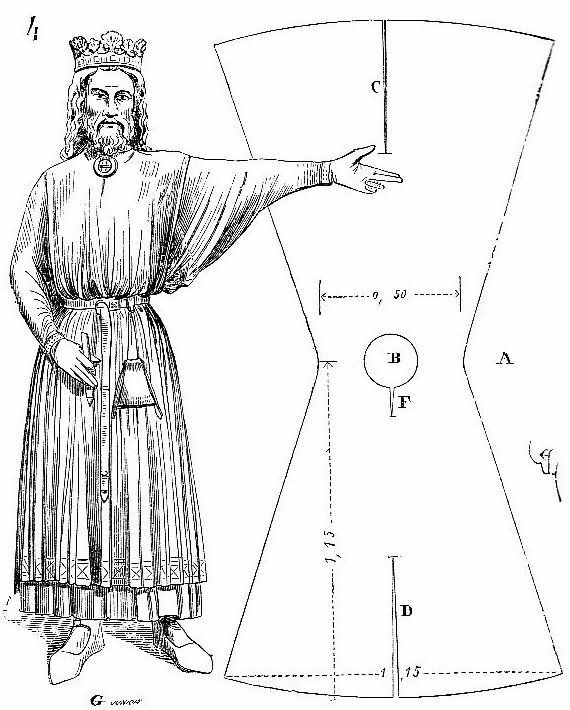 Tunic and trousers, a simple but classic look that really has made an appearance throughout all the ages. You'll notice that everyone is wearing a belt. This works cause none of the costumes have pockets and it's also a really cool way to show off your lovely bag, dagger, drinking horn......then there's the option of jelewry gold or silver anyone? If you don't have a pair of one piece leather Irish shoes or boots then practical modern boots or even wellies are a must. This is an outdoor event in Ireland with modern weather. 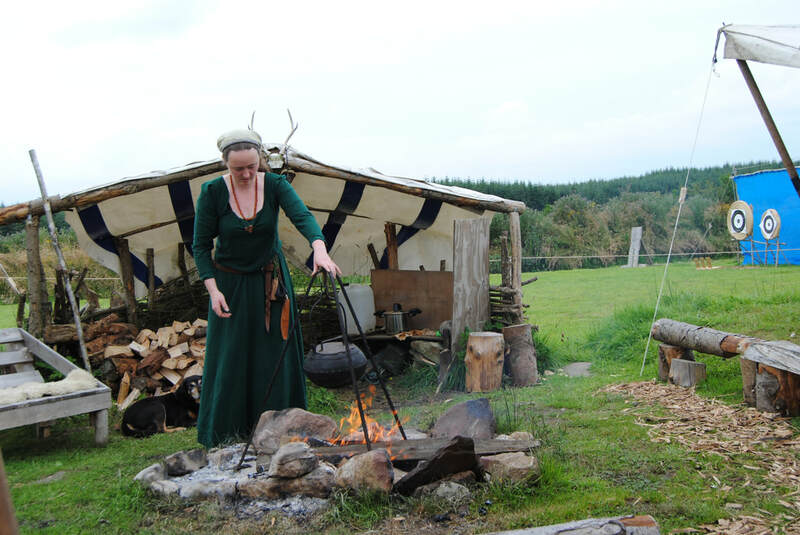 There's nothing more lovely than at the end of the day wrapping yourself up in a woolen cloak, pouring yourself a horn of mead and watching the flames sparkle as you listen to the stories unfold. 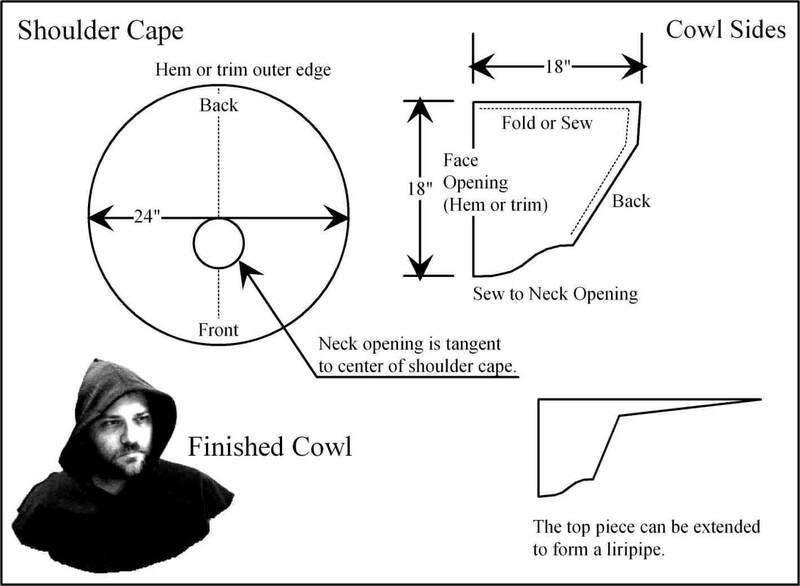 This is an easy one to recreate- just think blanket with a brooch or even a poncho. If you don't know what this means...perfect. If your a history buff and want to replicate an archaeological find..then do your best but feel no pressure. Be authentic to yourself and the modern world you live in. We're not trying to replicate a scene from the past we're having fun seeing what works for today and at the same time celebrating our ancestors. simple line drawing of a leine. 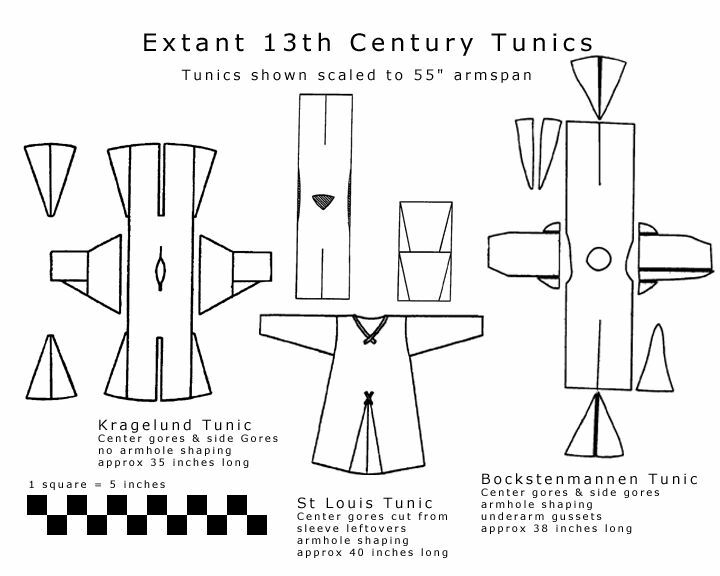 tunic or tabard - to the waist, the knee or the ankle. again a simple piece of fabric cleverly cut to fit over your leine or even just over your modern cloths. simple and brilliant for children or just wearing over your modern cloths. easy to make and really makes the costume bling. warrior bling......please don't bring any sharp swords! We will have blunt theatrical props here. Heard of the kilt....this is the real deal and requires research...have fun. lovely use of a blanket by the warrior on the far left. we also have leather helmets for you to try on. 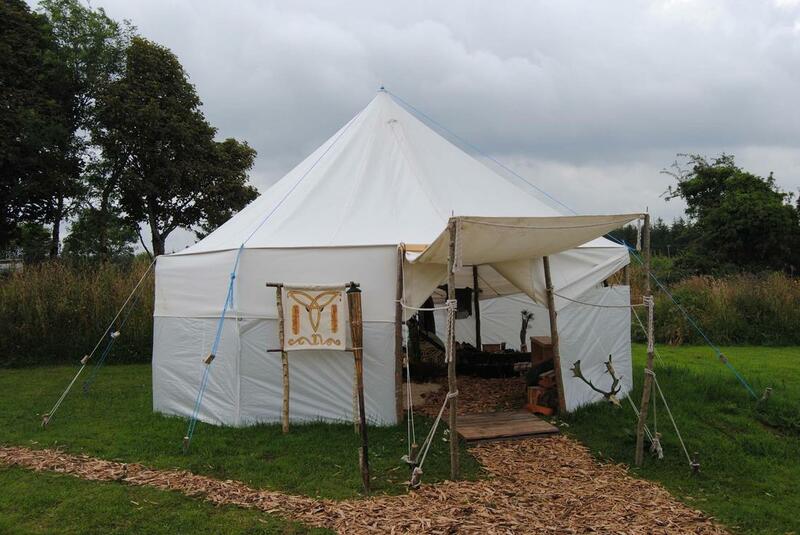 Click the image on the left to expand and see our Rath Niamh banner outside our round tent. It's a stylised bull head using the trinity knot with Rath Niamh written in Ogham either side. We can teach you some Ogham while your here but in the mean time you can start sketching your own banner or logo. One of the first activities we'll do together at Celtic Camp is to paint our banners on fabric and erect them at the entrance to the camp. I really recommend arriving to camp with an a4 sketch- something that represents you and or your family.